A delegation of nearly 20 Vietnamese businesses in various sectors has visited Bangladesh to boost trade partnership with the South Asian nation in the first trip of its kind held by the Ministry of Industry and Trade in five years. The Vietnamese Embassy in Bangladesh coordinated with the ministry and the two countries’ chambers of commerce and industry to organize an investment and trade promotion workshop. At the event, Bangladeshi Minister of Civil Aviation and Tourism Rashed Khan Menon pledged to coordinate with Vietnam to soon open a direct air route linking the two nations so as to enhance trade and tourism. He promised to provide the best possible conditions for Vietnamese firms to invest in potential industries of his country such as technology and tourism. 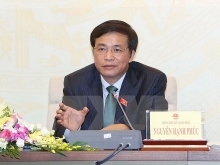 Minister of Commerce Tofail Ahmed called on Vietnamese enterprises to invest in Bangladesh and asked the Vietnamese Government to create favourable conditions for his country’s pharmaceutical products to enter Vietnam. Noting the progress in economic and trade ties, Vietnamese Ambassador to Bangladesh Tran Van Khoa said bilateral trade reached about 400 million USD in the first half of 2017, up 40 percent year on year. He stressed to develop sustainable and win-win trade relations, businesses of both sides should diversify their export items, instead of depending on just few strong products like they have done so far. Bangladesh is assessed as a potential market with a population of over 160 million, rapid economic growth and young and abundant workforce. It is considered a gateway for Vietnamese goods to enter other South Asian markets. Meanwhile, it also has a number of potential commodities for export to Vietnam such as jute and jute products, ceramics and pharmaceuticals. At the workshop, some Vietnamese firms also signed export contracts with Bangladeshi partners at a total value of 60,000 USD. 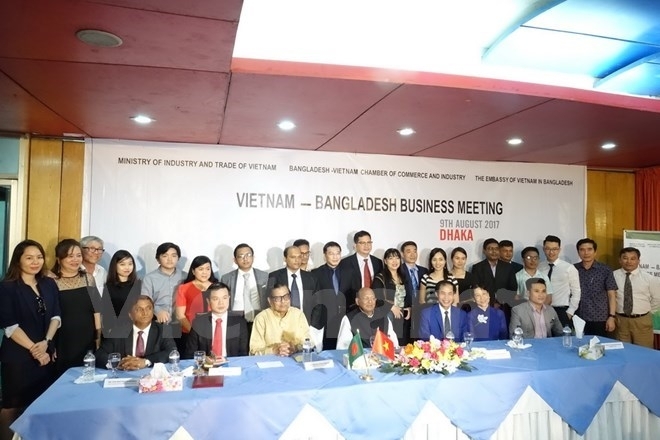 Aside from the event, the Vietnamese Embassy worked with the Federation of Bangladesh Chambers of Commerce and Industries to hold a meeting to listen to businesses’ proposals and help address problems facing their activities. During their stay, the Vietnamese delegation surveyed the Bangladesh market and visited automobile and motor maker Runner and electric and electronic device producer Rahimafrooz.